Herbert Dowsett assisted (possibly) by his wife Phyllis at the T.M.A.C. 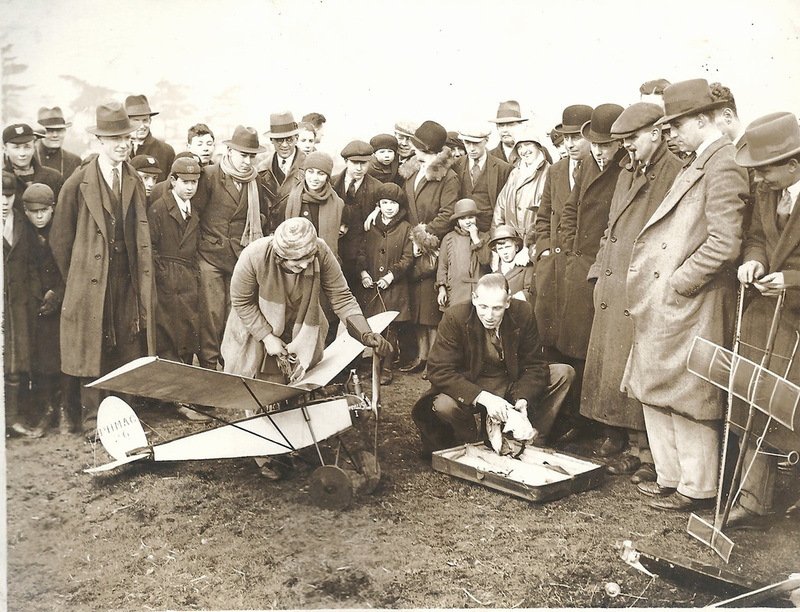 meeting held at Wimbledon Common on 1st March 1930. 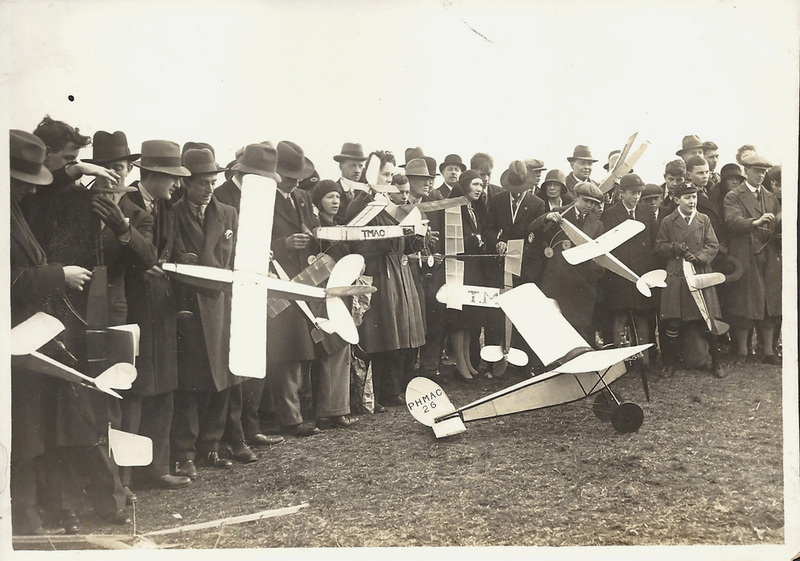 Press coverage of the meeting was extensive and this may have been the first occasion upon which a 'talkie' movie was made of a model aircraft meeting. At the same meeting. Can anyone help identify any of the other faces? That looks rather like D. A. Pavely on the extreme right. 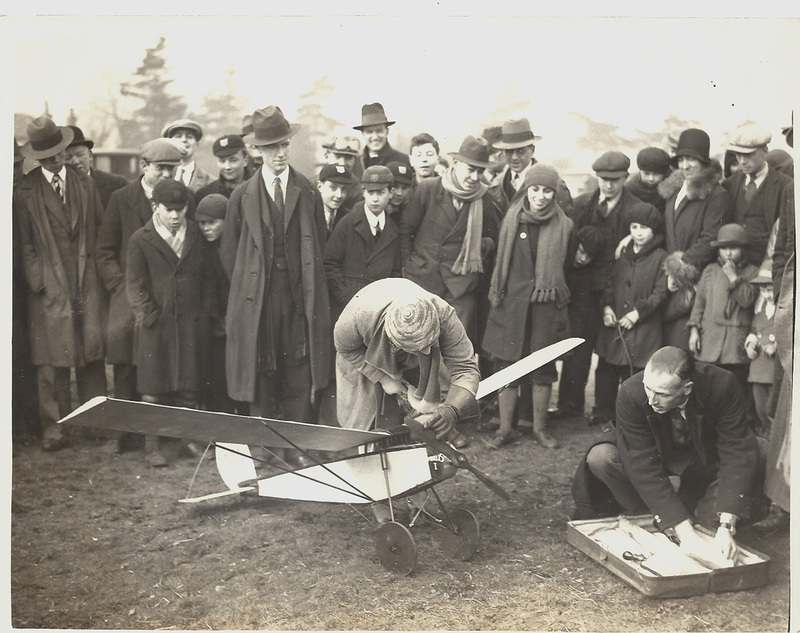 At the same 1930 Wimbledon Common meeting as the previous pictures.